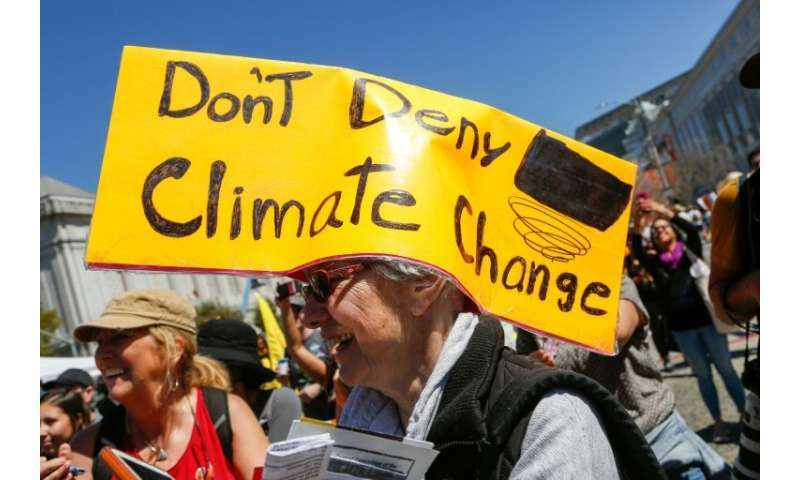 With Poland hosting the COP 24 climate summit in December, UN climate chief Patricia Espinosa called on nations to unite behind limiting global warming to the less than two degrees Celsius enshrined in the 2015 Paris accord. "Nations are not living up to what they promised," she said, making no mention of the Trump administration's decision in June 2017 to pull out of the Paris agreement. "What nations have currently pledged under Paris will bring the global temperature up about three degrees by 2100," she said. Emergency climate talks in Bangkok earlier this month did not make sufficient progress, she said. "We must therefore work harder than ever between now and Cop 24 to complete this work." Following a recent climate conference in San Francisco, California Governor Jerry Brown, whose state has taken up the lead abandoned by Washington, made a pitch to the private sector. "The problem with climate change is that it's about transforming the whole economy," said Brown. "The key part is technological investment and we need big company investment to get the technology." Hilda Heine, president of the Marshall Islands, which face an existential threat from rising sea levels, officially unveiled a national strategic plan to reach zero emissions by 2050. "If we can do it, so can you," Heine told representatives from dozens of countries. The Marshall Islands was only the 10th country and the first island nation to make the pledge, she said. Climate Week, organized by The Climate Group in partnership with the United Nations and the city of New York, is in its 10th annual edition. Around 150 events are scheduled this year, including a "One Planet Summit" on Wednesday led by billionaire philanthropist Michael Bloomberg and French President Emmanuel Macron, and cultural events, including the Global Citizen Festival with Janet Jackson, The Weeknd and Cardi B.